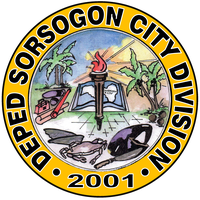 The Division of City Schools - Sorsogon City had been a recipient of the DepED Computerization Program E-Classroom Packages for elementary and secondary schools. These computer pacakages are designed as tools for efficient classroom instruction. The DepED believes that a multimedia classroom (computers connected to the world wide web) will boost the performance of learners. As a consequence, teachers are expected to develop their own computer assisted instruction. The DCP e-classroom packages is composed of a server (desktop computer), 6 thin clients, a multi-functional printer, a document camera, a projector and/or an interactive white board for the elementary; while there are 8 servers (desktop computer), 42 thin clients and a laser printer for the secondary schools. The DepED allocates a yearly budget for the internet connectivity of secondary schools and central elementary schools. This project compliments the DepED's implementation of online information systems. Connected to the world wide web, educators also have the opportunity to access information significant to classroom instruction.